Do Bench or Arrest Warrants Expire? It may seem like a funny question, but we believe all questions related to felons and felon rights deserve a serious exploration and answer. To that end, we’ve decided to delve into a subject which occasionally pops up: Do warrants expire? Let us suppose an individual has committed a crime, but the police were not on hand at the time to make the arrest (this is usually how it happens, actually). The police have an idea of who did it; they have a suspect or suspects, but they now need permission from a court judge to go out and apprehend that person or persons. Without such permission, they cannot hold you. Now, if it is a felony crime, then the police will require permission in the form of a felony arrest warrant. But they have to prove “probable cause” and they have to prove “reasonable suspicion” about their suspect. Otherwise the judge won’t issued the warrant. But if those things are demonstrated to the presiding judge’s satisfaction, then he or she issues an arrest warrant which is specific to the crime which was committed, or in some cases the civil offense. For our purposes, we’re more interested in the felony crimes, however we will go ahead and touch on those civil cases for a moment. One last note before we move on: when it comes to issuing a warrant, the minimum data which needs to be listed is either suspect’s name or at least a clear physical description; a detailed account of the crime itself; and finally the judge’s signature. Okay, now let’s briefly compare civil and felony warrants! Let’s say an individual has been ordered by the court to provide reasonable suspicion, but they fail to do so for whatever reason. The court can issue an arrest warrant for this behavior and once arrested, the person can be subject to spend time in jail until their payments are made. Ironic, considering it can be difficult to work and make such payments from behind bars, but that is just one good reason why a person shouldn’t get behind on making those payments. If they do, they risk a potentially long stay in confinement. In a nutshell, this is an example of what’s known as a “reasonable suspicion.” If a case defendant ignored the court’s ruling, or for some reason cannot comply with it, the court will send out the cops to locate and arrest them and literally make them pay. In some criminal cases, however, the police may first desire or need to collect evidence against the defendant, in order to catch them in the act of an offense (for example, selling illegal narcotics). To gather such evidence, law enforcement agencies can actually monitor the defendant using surveillance tactics. Once this action has been completed to the satisfaction of the police, they can show a judge who will determine if a warrant is called for. If a warrant is issued, the applicable agency can then sweep in and nab the person, whom they’d previously recorded committing an illegal deed. To put it plainly, this arrest warrant has no expiration. There’s no “waiting it out.” There’s no “lying low until the heat’s off.” There “may” be a “warrant review date,” a date upon which a prosecutor needs to ask for the warrant to be reaffirmed in order to stay in effect. But this is only a matter of routine procedure, and doesn’t even occur in all situations. That warrant isn’t going anywhere until the person is arrested or surrenders of their own free will. What if the judge doesn’t issue a warrant? 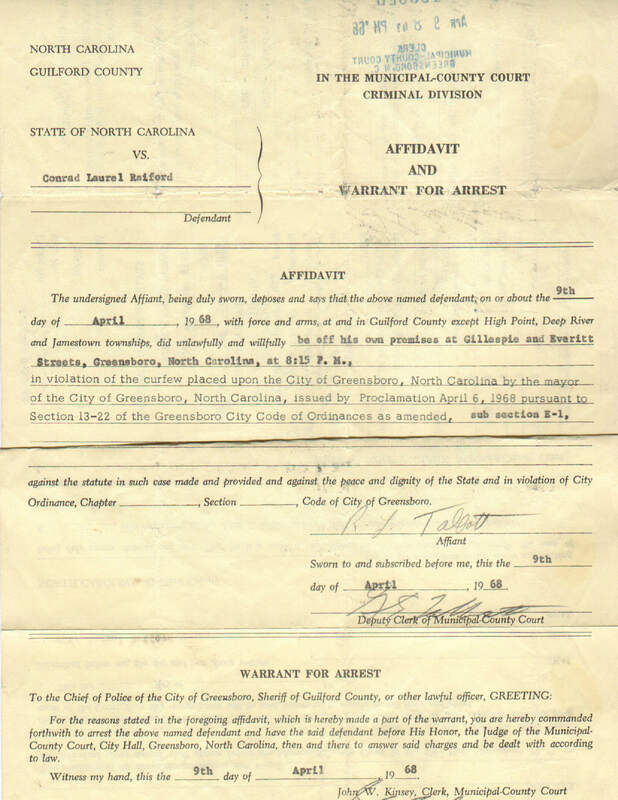 In certain cases, a defendant is instead “summoned” to appear in court. 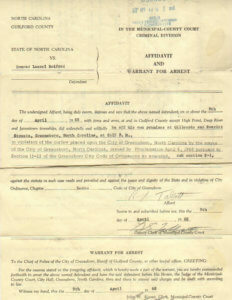 This summons comes from a prosecutor, and requires the person to appear at a certain date and time. A summons can be related to a felony, but in general it is more suitable for lesser offenses, such as traffic violations (unless a firearm was involved in that traffic stop!). So a summons isn’t the same thing as an actual warrant for an arrest. Okay, as we mentioned, there is a small caveat to consider, a “loophole,” if you will. It’s called the 6th Amendment to the Constitution, and in essence, it guarantees a defendant a “right to a speedy trial.” So if the police have been looking for you for a few years but haven’t caught up with you yet, it is within your rights to ask for a dismissal based on your right to that speedy trial. Please note: we are not offering legal advice! If you need professional legal counsel, please seek a qualified attorney’s opinion. Now that our disclaimer is out of the way–yes, it is possible that the police cannot find whoever they have a warrant to arrest. There’s no requirement for an address or place of work to be on file with the judge when he or she issued that warrant. They don’t have to know where you are to issue it, and indeed it doesn’t matter if the suspect flees the state. Felony Expungement – In a number of states it is possible to have your felony conviction either expunged or sealed. Imagine having your record swiped clean! Learn more here. Once it is issued, they’ll seek you out wherever you are and they’re required to do so as soon as possible, day or night (not counting certain hour restrictions for misdemeanor warrants). But if they are unable to locate you for several years, then they are unable to offer the speedy trial. Clearly this doesn’t mean a defendant should go out of their way to evade the police, but after a certain amount of time it MAY be hard for prosecutors to locate witnesses or evidence. Again, this doesn’t mean the warrant itself will expire, but circumstances themselves may change as time passes, and thus a person may be able to request the warrant be nullified or recalled. We hope this article helps answer your questions about whether or not warrants expire! The fact is, once the judge and the police agree that an individual needs to be brought before the court, there are few things which can stop it. Time itself does come into play, because of the suspect’s right to a speedy trial, however it’s no certainty that delays in the arrest will alter the outcome of the case. When it doubt, speak to a criminal attorney who specializes in such matters. But naturally we can’t recommend any person who is “on the run” from a warrant try to intentionally evade or delay their inevitable encounter with justice. It’s better to face the music and plead your case with a highly-qualified lawyer at your side. And it goes without saying, if a warrant has been issued for your arrest, but you are actually innocent of the crime, it behooves you to go to the police and clear up the matter through the proper process. Innocent or guilty, laws are in place to protect your rights! So educate yourself! That’s what this website was designed to assist with! Find felon friendly jobs, apartments, housing, reentry programs, loans & grants, expungement information and much more. Learn where and how to find felon friendly housing options.